In preparation for a world record attempt, the 51 year old Syrian free fighting champion Jamal Koukeh is practicing smashing concrete blocks with his legs. As part of his public demonstration, he also broke blocks with his hands using an upturned machete. For a finale, he placed a pair of swords in his mouth before being hit with a sledgehammer. Posted: November 28th, 2010 under Cultural, Entertainment. Posted: November 14th, 2010 under Cultural, News. Lebanon has revealed on October 10th 2010 the world’s largest national flag at the Lebanese Air Force Base in Rayak, to commemorate the Lebanese Army’s 65th anniversary. 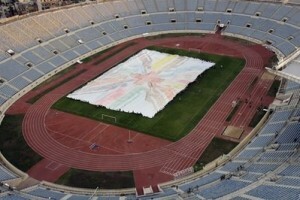 The flag, which measures an amazing 65,650 square meters, beats previous record-holders Morocco , which only measured in at a minuscule 60,000 square meters. The area of the cedar at the centre of the flag measures in at 10,452 square metres, a reference to the country’s total area of 10,452 square kilometres. The flag, which measures 325 metres in length and 202 metres wide, was made in Kuwait under the supervision of Lebanese entrepreneur Ashraf Makarem. Guinness World Records confirmed that the flag is indeed the world’s largest, with regional official Talal Omar on hand to present Makarem with his record-breaking certificate. Posted: October 30th, 2010 under Cultural, News. The craze for Robots in Japan has led a couple to decide to get married by a Robot! Posted: October 22nd, 2010 under Cultural, Entertainment, Technology. In Damascus, Syria, Khaled Dadouh does crazy things like piercing his skin with metal hooks and then pulling a car. He claims that we can overcome impossible obstacles through sport, as long as we have faith. Not only that, Khaled claims anyone can do this. Posted: October 16th, 2010 under Cultural, Entertainment. Those working off the land in Lebanon face stiff competition for international trade, as they do not benefit from subsidies like many farmers abroad. But as Katy Watson from BBC reports, one man has now set up Beirut’s first farmers’ market to help local producers reap rewards closer to home. Posted: August 15th, 2010 under Cultural. The skyline of the Syrian capital is changing, with tower blocks being replaced by new office buildings and malls. Damascus is also slowly opening up to private investment and encouraging an influx of entrepreneurs. The BBC’s Lina Sinjab has met Abdulsalam Haykal, who runs a number of private businesses, and is one of many Syrians to return to do business at home. Posted: August 9th, 2010 under Cultural. Lebanon has a reputation for cultivating local crafts, from metalwork to woodwork and many are still making a living from their traditional skills. But faced with cheaper imports from China and India it is getting tougher to survive. This has prompted some to try to raise the profile of local craftsmen. Posted: August 8th, 2010 under Cultural. The music video of the first Nations United song, I wish, directed by Chaker Khazaal. I wish is performed by 11-year-old Jackie Vainberg and talented Corey Brouwer. The music video star the Strain twins & lyricist, Olie Vainberg. Posted: July 20th, 2010 under Arts, Cultural. Posted: July 10th, 2010 under Cultural, Entertainment. A vibrant young team filled the set while filming a fresh new music video produced by the Nations United group. The video titled, ‘I WISH’ is a feel-good anthem voiced by 11-year-old rising star, Jackie Vainberg, and directed by Nations United founder Chaker Khazaal. The lyrics to this incredibly catchy song were written by Olie Vainberg (Jackie’s mother) and edited by Christian Paré. The music’s lively tribal beats and rhythmic cords were composed by young new talent, Corey Brouwer and produced by Flavio Monopoli. “Nations United has plans to produce a number of short videos before releasing Nations United, the movie next year. Our upcoming videos will feature women displaying positive and strong character traits, these qualities will play a major part in the leading role of NU,” says Mr Khazaal, who also co-produced the ‘I WISH’ video. The beautiful twin actors, Karissa and Katie Strain, shine as the female leads in I WISH, the first Nations United installment. I WISH, the song, was released exclusively on www.nationsunited.org on June 17, 2010, with the video released late in that month. Entering its fourth month, the Nations United project has established connections and collaborations with people from over 50 countries in pre-production for the film, which is set to be released late 2011. 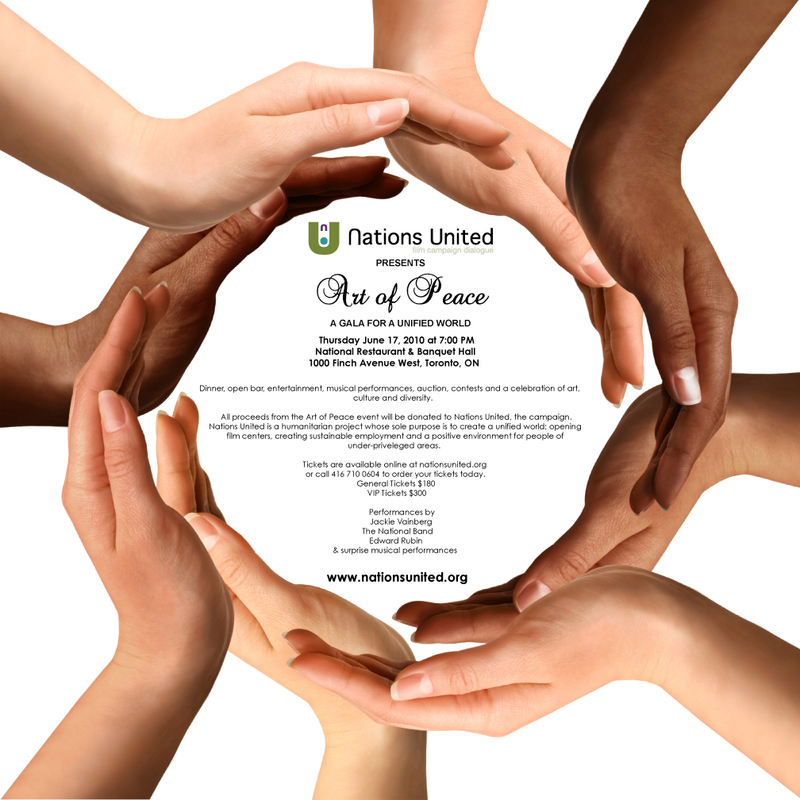 The Nations United campaign is actively collecting short video submissions from individuals and groups worldwide. Select footage will appear in Nations United, the movie. The campaign and movie involves a series of events, film workshops, videos and songs that emphasize the importance of unity between nations and the power of positive national thought creating a positive reality. Posted: June 30th, 2010 under Arts, Cultural. I have already blogged about Chaker Khazaal and his brilliant project Nations United which unites the nations through a collaborative movie combining people from different parts of the planet. Now, the “Art of Peace” gala is being thrown in Toronto on June 17, 2010, where all the proceedings of the event will be donated to the Nations United campaign. Again, I would like to congratulate Khazaal for his efforts in creating a positive environment for people of under-privileged areas. For more information on this project, please check the flyer below or the event directly on Nations United website at www.NationsUnited.org . Posted: May 18th, 2010 under Arts, Cultural. A day after firing a 10-ton hummus broadside in a food fight with Israel, chefs in Lebanon weighed in with another first for a Guinness record on Sunday - five tons of Falafel. Falafel, like hummus and tabbouleh, are the objects of a cultural quarrel between Israel and Lebanon. Israel exports hummus widely, and is accused of claiming an Arab dish as its own. Lebanon set the tabbouleh record in October 2009, while the last Hummus battle was on Saturday. With a Guinness World Records representative at hand to record the feat, organizers said it was the first time any country had tried to set such a high-frying Falafel record. Posted: May 10th, 2010 under Cultural, News. 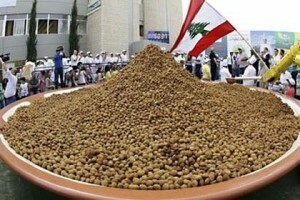 In a continuous battle of Hummus with Israel, and after Lebanon set the record straight in October 2009 but again Israel stealing it in January 2010, Lebanon on Saturday May 8 2010 claimed another victory and set the biggest Hummus world record at 10,452 kilograms. 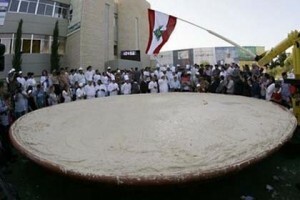 More than 300 chefs set the new record for hummus, which the Lebanese say is their national dish despite Israeli claims, in the presence of a Guinness World Records representative who confirmed its weight at 10,452 kilograms. That more than doubles the previous record of around 4 tons set in January 2010 by cooks in an Arab town near Jerusalem. The gigantic serving of the popular Middle Eastern chickpea paste is the latest shot in the two countries’ ongoing war to assert ownership over the dip. A Guinness World Records adjudicator confirmed that Lebanon now holds the record. Lebanon accuses Israel of stealing traditional Arab dishes like hummus and marketing them worldwide as Israeli. 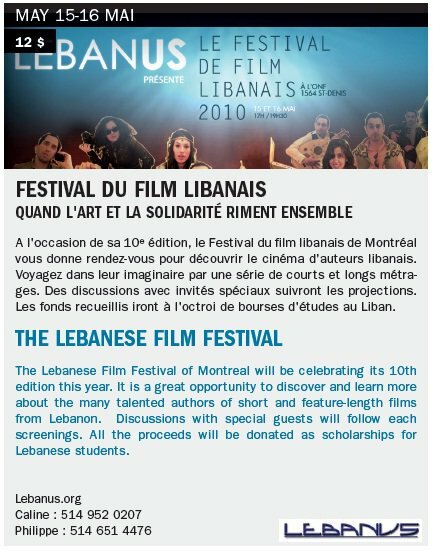 Lebanus, the Lebanese organization behind the famous Lebanese Night in Montreal, is celebrating their 10th edition of the Lebanese Film Festival in Montreal on May 15th and 16th. It is a great opportunity to discover and learn more about the many talented authors of short and feature-length films from Lebanon. 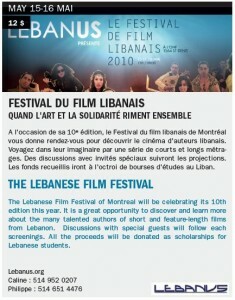 All proceeds will be donated as scholarships for Lebanese students. For more information, you may check the event’s Facebook page here. Posted: May 9th, 2010 under Activities, Arts, Cultural. In Beijing, China, nothing quite says fine dining… like a toilet-themed restaurant. At this establishment in Beijing, it’s no use complaining to the waiter that the food looks a bit like ****. Posted: May 2nd, 2010 under Cultural, Entertainment. In Lebanon, having plastic surgery for the nose, lips, or even breasts is a very normal thing among young females. It has become a very lucrative market for plastic surgeons to a point it became the country where plastic surgery is practiced the most in the world! Elles sont jeunes, belles … et la plupart sont refaites de la tête aux pieds. A Beyrouth, se faire retoucher les seins, le nez ou les lèvres par un chirurgien esthétique est presque un acte banal, dès l’âge de 20 ans. Le Liban est le pays où l’on pratique le plus d’opérations plastiques au monde, et tous les excès sont permis. Il y a même des modes : en ce moment, les clientes réclament le nez d’une célèbre chanteuse locale. 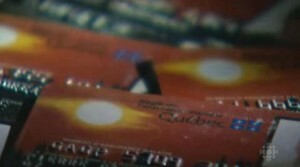 Pour celles qui n’ont pas les moyens, les banques proposent des prêts spéciaux « chirurgie esthétique ». Si les Libanaises se livrent aussi fréquemment aux bistouris des chirurgiens, c’est parce que, dans ce pays, la concurrence est très rude pour trouver un mari : à cause de la guerre et de l’émigration, il n’y a qu’un homme pour cinq femmes. Mais revers de la médaille : cette dictature de la beauté crée aussi une pression sociale très forte difficile à supporter au quotidien. Posted: April 15th, 2010 under Cultural, News. 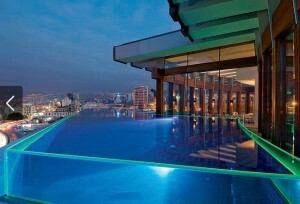 “Lebanon’s cosmopolitan capital is finally getting its groove back”. That’s how the New York Times Travel magazine introduces Beirut in their Spring 2010 edition. Posted: April 6th, 2010 under Cultural. A 22-year-old Lebanese-Canadian man is seeking to unite the nations through a collaborative movie combining people from different parts of the planet. People from every nation are invited to create a film, 3-5 minutes in length, displaying anything they wish to show the rest of the world. There are no restrictions to the footage they film or the message they wish to present. A selection of chosen footage will be edited into a pre-existing concept for a movie called Nations United or NU, written by Chaker Khazaal, the man behind the project. Chaker Khazaal on the 17th of March 2010 became a Canadian Resident and his dream since childhood has always been to unite humanity and its people. Born and raised in Beirut, Lebanon, of Palestinian background, Chaker Khazaal moved to Toronto, Canada in 2005 as an international student at York University where he completed a BA degree in International Development Studies. He also took courses in the fields of film, languages and International Relations. Posted: March 22nd, 2010 under Arts, Cultural. If you think the Man Bra is weird, well check this out. Ever been in the middle of something, then realized you really want a game of golf? Well the Japanese lingerie manufacturer Triumph have come up with a solution: a putting mat bra. The bra can be transformed into a 1.5 meter long putting green which is fully equipped along with a special skirt to ensure silence during the game. Posted: January 17th, 2010 under Cultural, Entertainment. Where would you find the weirdest creations on earth? Japanese online lingerie shop Wishroom has recently unveiled a strange addition to its new product line: the Man Bra. Strangely, the $30-dollar Man Bra is now Wishroom’s fastest-selling men’s garment. The Man Bra comes in three colours - black, white, and of course, pink. Posted: January 12th, 2010 under Cultural, Entertainment.